It’s June and the sun still isn’t in sight for longer than two days- hello? Weather? We are still waiting for our heat wave! I’m lucky to have olive skin but my goodness this is probably the most pale I have ever been…. Everything seems to be weather dependent these days whether it is to earn money or simply to have a bit fun, so I have come up with a few ideas to get your summer rolling, no matter how it looks outside. Puddle diving – My school was surrounded by acres of fields, which on a rainy day meant lots and lots of MUD. So one Tuesday afternoon our hockey training was put on hold because the astro turf had been turned into a swimming pool due to the rain. So instead of cancelling the session entirely our coach sent us back to our boarding houses and told us to change into some old clothes we didn’t mind getting dirty. We all re gathered by the hockey pitch wondering what he had in store for us, to which we ended up having a snowball fight but with mud. This once, being a girl and looking well presented meant absolutely nothing – the messier my hair the better! It was a really funny afternoon and I recommend everyone to have a go (but be careful, mud can be slip- up stuff). Explore –Cardiff has many adventures inside that no body every really recognises unless it’s to the cinema or eating some grub, but why not further your knowledge and head to one of Cardiff’s fascinating museums, that allows you to relive some history as well as some exciting contemporary art. The national museum Cardiff has the opportunity for you to follow Wales’s journey through history including how south Wales has been reconstructed over 200 million years indicating just how much life is changing. Doc Who? – Cardiff is the home of the TV series Doctor Who. The doctor who experience allows you to go on a fun adventure through time and space. Opening daily between 9.30am – 5pm it gives you plenty of opportunities to attend. Take a look at: http://www.doctorwhoexperience.com for further details.
. Put the biscuits in a plastic food bag, grab a rolling pin and smash the bag religiously. Melt the butter and stir in the biscuits. Tip this mixture into a loose-bottomed 24cm round cake tin, about 5cm deep and press down evenly. Chill.
. The mousse: submerge the gelatine leaves in a large bowl of cold water and leave to soak for 5 minutes. Heat the single cream in a small pan until it just comes to the boil. Take off the heat. Lift the gelatine leaves out of the water and give them a good squeeze to get rid of the water. Stir into the hot cream one by one – they will dissolve immediately. Leave to cool slightly.
. Beat together the fromage frais, sugar, orange zest and juice with a whisk or wooden spoon. Stir in the cooled cream and gelatine mixture and the berries. Crush just a few of the berries against the sides of the bowl and stir again to ripple through, leaving most whole.
. Whip the double cream lightly to soft peaks and then fold it into the berry mixture. Pour into the cake tin and leave to chill for at least 3 hours (better overnight) until set.
. To make the sauce, blitz all the ingredients in a food processor or blender. Chill until ready to serve. (The sauce and the mousse can be made up to a day ahead). To serve, run a knife between the mousse and the tin, lift it out of the tin and take it off its base. Put on a serving plate and pile a mixture of fruits on top to decorate. Dust with icing sugar and serve with the sauce – Delicious! Done and dusted – Rainy days are made for a good clean. This is the perfect opportunity to get rid of unwanted goods and clothes for a car boot sale. Although the weather might be gloomy the car boots sales are beginning to have a good attendance outcome. Bessemer road car boot sale is open every Saturday 9.00am and every Sunday and bank holiday Monday at 7.00am. This is a great way to turn some junk into extra cash. Workout – When I see a tiny bit of drizzle, my run is immediately cancelled out. However! There’s hundreds of ways to workout within the comforts of your own home. 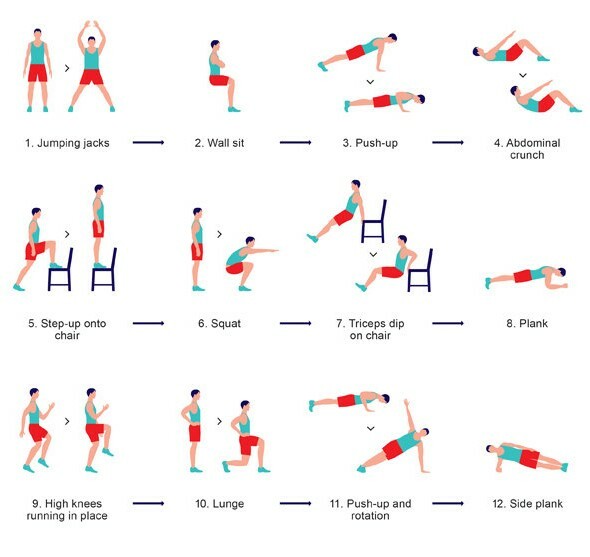 For example this chair workout is simple and can be completed at your own intensity. Why not experiment your workout such as Yoga and Pilates – YouTube have some great videos. To conclude, my point today is that there are many ways to keep yourself busy even when the heavens have decided to open.